Hot water heaters are a necessity for life and we all need to know when to replace them, how to maintain them, and when it’s time for new hot water heater installation. Scott English Plumbing has put together a few answers to commonly asked questions about water heater repair in Orange County and water heater installation. Having hot, clean water on demand is convenient and considered an accentual to many people and homeowners. If you agree and want value for your hard-earned money, you’ve come to the right company. At Scott English Plumbing Inc. we’re well-established technicians with high standards that don’t change. Let’s work together so that we can make your life easier by putting an end to all your water heating problems. Call us today at 714-987-9801. Feel free to stop by our storefront location at 1230 North Jefferson, Anaheim, CA, 92807. Whether your water heater is on the fritz or completely out of service, our highly-rated team can provide you with an effective solution that will leave you satisfied. We have a highly skilled team that knows all the ins and outs of fixing damaged water heaters. We also carry a complete line of Orange County water heaters. Anytime you run into trouble with your water heating equipment, you can count on our specialists to come to the rescue. 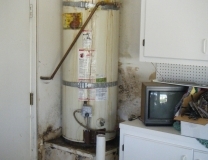 We have the tools and skills to tackle any Orange County water heater repair. Before we leave your home or place of business, we’ll make sure your equipment is up and running smoothly because you hire us, we’ll make you a priority and come on time to complete your Orange County water heater repair. We want you to know that we like to get to the bottom of problems in a methodical fashion, and cutting corners isn’t part of our method. Why would you continue to use water heating equipment that’s functioning unreliably? We have brand-new and efficient systems that work without a hitch, so turn to us at your earliest convenience. You’ll benefit from our Orange County water heater replacement service. When you depend on Scott English Plumbing Inc, you can rest assured that you’ll get the prompt assistance and the quality service that you deserve. We go out of our way to fulfill our customers’ needs when they are looking for a reliable water heater replacement in Orange County. Let us walk you through your available options. We’ll answer any questions that you have and help you select a water heater that suits your property. Contact us by giving our highly-rated company a call at 714-987-9801. If you are going to replace your hot water heater, we recommend considering a Tankless Hot Water Heater installation from Scott English Plumbing. Contact Scott English Today for all your Orange County Hot Water Heater Needs!